The owner and the general manager of the popular Bruckner Bar and Grill are set to open an Asian-fusion restaurant nearby, call Ceetay. PORT MORRIS — “Asian fusion” — two words seldom heard in the South Bronx. 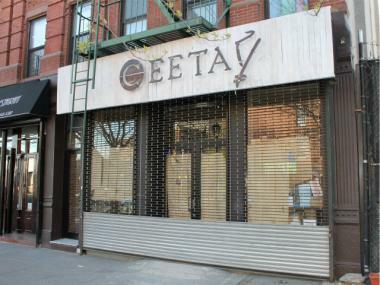 And yet, in a few weeks, the restaurant Ceetay will begin serving Thai-style empanadas and sake from a chic space on Alexander Avenue in Port Morris, the southernmost slice of the Bronx. Just one block west on Bruckner Boulevard, inside a converted piano factory that sports a brick clock tower, The Clock Café and Martini Bar opened about five weeks ago and now offers sophisticated cheese plates and tapas, alongside cucumber-mint martinis and grapefruit margaritas. The new pair of upscale eateries reflects the evolution of the waterfront industrial zone into a mixed-use neighborhood with enough rooted residents to sustain its own modest dining scene. If anyone should know it’s Chayon, who is the general manager of Bruckner Bar and Grill, a South Bronx institution within shouting range of Ceetay that caters to the neighborhood’s resident artists and professionals, as well as to lawyers from the nearby court buildings and officers from the Department of Corrections outpost down the street. That restaurant, which serves a mix of pub food, pasta and oversized burgers on English muffins, enjoys the top spot on Urbanspoon’s Bronx restaurant rankings and hosts weekly karaoke nights and salsa lessons. Still, Chayon said his regulars — he claims to have 5,000 names on the restaurant’s email list — crave more options. “People come to the Bruckner to eat everyday because there’s no place else in the neighborhood,” said Chayon, who lives next door to the restaurant at 1 Bruckner Blvd. So when nearby Alexander’s Café closed in December, Chayon and Bruckner owner Alex Abeles, 36, jumped at the opportunity to buy the space and convert it into an Asian-fusion restaurant. Chayon will manage the 30-seat restaurant when it opens next month, while Abeles, who designed the menu and dreamed up the nonsense word “Ceetay,” will oversee the kitchen. Down the street, The Clock Bar has already begun to develop its own clientele. The lounge, whose exposed brick and dangling light bulbs would not look out of place in the Lower East Side or Williamsburg, is situated at the base of the five-story loft building, called the Clock Tower, at 112 Lincoln Ave.
“Everyone has said they’ve been waiting for a place just like this,” said general manager Mark Kelly. The 50-seat space began to fill early Friday, as a hodgepodge crowd of varying ages and ethnicities — including at least one young girl with her mother — indulged in the $3 handmade hummus and the two-for-$12 cocktails. The Clock Bar recently opened inside The Clock Tower, a former piano factory at the corner of Bruckner Boulevard and Lincoln Avenue that houses high-end lofts. “The truth is, if you’re a professional in the Bronx making a good income, there’s no place to drink except in Manhattan,” said Jamila Diaz, 36, an employee of the South Bronx Overall Economic Development Corporation, or SoBRO, who had headed to the bar with some colleagues after work. The nonprofit SoBRO — not to be confused with “SoBro,” the label some realtors have tried to stamp on the neighborhood — was influential in reviving the strip along Bruckner Boulevard between the Third Avenue and Willis Avenue bridges, just steps from the Harlem River and the rail yard along its bank. After zoning changes in 1997 and 2005 that allowed for new residential and commercial uses mixed in with the industrial, SoBRO helped bring in businesses and convert old warehouse space into lofts perfect for artists. Before long, the area gained a reputation for its antique stores, flower shops and budding art scene. 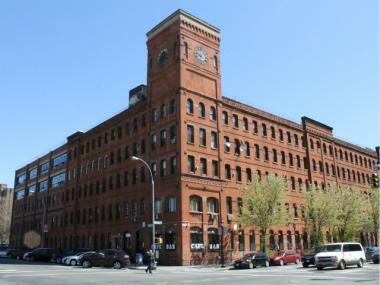 The Clock Tower’s spacious lofts became available in about 2004, drawing higher-earning professionals to the area. Last year, a 12-story, 419-unit housing complex down the avenue, called Bruckner by the Bridge, began renting subsidized units to households with incomes ranging from $26,126 to $47,520. Still, all the new bodies in the neighborhood don’t guarantee packed dining rooms. Next door to Ceetay, at the corner of Alexander Avenue and Bruckner Boulevard, Marcus Rodriguez spent $500,000 and seven months converting the former site of an antique store into a restaurant, called Wish 37. Since the restaurant opened last September, Rodriguez said he has struggled to attract locals. Many of his diners, he said, spot the restaurant as they drive towards the bridge to Manhattan. “If I get 10 customers a day from the neighborhood, that’s a lot,” said Rodriguez, 42. Part of the problem may be the restaurant’s still-pending liquor license or its menu, a mix of American, Italian and Ecuadorian dishes. But Rodriguez notes that, despite the recent development, the area remains a largely industrial and commercial strip cut off from the rest of the borough by highways and the river.